You ask how I keep my kids healthy? we use Thieves essential oil/spray for immunity boost when we go out in public. It can be rubbed on their feet before we leave the house, sprayed on grocery carts, and spritzed on everyone’s hands as we buckle back into the car. Young Living produces Thieves; DōTerra makes the equivalent, OnGaurd. Especially when attending crowded gatherings, we utilize “Crowd Spray.” I spray it on car seats or blankets, and on the back of each child’s head and neck. With the dry winter weather, I use a little saline in the babies’ noses before bed. Then I diffuse Eucalyptus Radiata oil so they don’t get congested overnight. Better sleep for the win! I share a little of my Lypo-Spheric Vitamin C with the kids every day. This is an easily absorbed form of vitamin C that is excellent for preventing and fighting illness. Often I have taken seven packets during a cold, and the cold resolved in three days. This used to take seven to ten days for me to get over! Now that I am taking it daily, I have even fewer sniffles. I let my 3yo have half a packet; she licks it up as if it’s honey. For the 1yos, I just dip my pinky in the vitamin C and swab it around their mouths. Sometimes they love it, sometimes they think it’s gross. Then, everyone gets a dose of Zarbee’s vitamins daily. Someday I hope to find a decent raw vitamin for them, instead. Garden if Life was my go-to raw vitamin/probiotic, but they sold out to Nestlē, a company that utilizes HEK-293 to test their flavors. I don’t knowingly purchase anything from Nestlē if possible. So if anyone knows of another good, raw vitamin for children, please drop a comment. If any of my kids starts coughing or getting runny noses, I give them a dribble of colloidal silver two or three times a day, for just a couple days. The only side effect of colloidal silver is turning skin blue if you use it daily for too long. This only seems to effect some people. Colloidal silver is also good for eye irritations and infections, ear infections, flu, cuts, burns (I’ve seen it help severe burns), fungus – Anything antibiotics can do, colloidal silver does better, only it can work on viruses, and it won’t destroy healthy gut flora. My mother-in-law makes colloidal silver for the whole family. Pharmacies usually have it, too, as does Amazon. If they’re plain sick, lemon, lavender, and peppermint blended and rubbed on their clothes and blankets give children relief. Peppermint can get too hot if it’s applied directly on little ones’ skin undiluted. Lemon on anyone’s skin can burn if exposed to direct sunlight too soon, so apply under clothes. For me, it’s easier just to rub these on the fabrics kids use. Add Thieves to the blend and you have a dry cough suppressant. These products seem pricey at first, but it saves us so much time and misery. We may come down with something once a year, but it’s usually mild. Even though all three of my children were born prematurely, and are supposed to be more susceptible to illnesses and conditions, I haven’t had to take anyone to the doctor yet. That’s three and a half years and no sick visits or prescriptions for colds or fevers. No bills or insurance haggles! Our family thinks spending on vitamins, oils, and a colloidal silver generator are worth avoiding the stress of the clinic and the pharmacy where possible. Finally, we have our vaccine policy based on religious convictions, research, and personal experiences. That’s a lengthy subject for another day. Suffice it to say that our vaccine policy has great bearing on the frequency of illnesses in our household. I hope these ideas can help your family as well. Sick ain’t fun! This post is intended to share experiences and answer questions, and cannot be construed as professional advice. Well. . . Not really. There is a major trade-off for every improvement in parenting. You’ll be able to do housework once the baby can go four hours between feedings, but there will still be more work than you can complete. Babies won’t need to be carried everywhere forever. You’ll merely have to chase them down all day. The child will learn to vocalize his needs, but then you must consistently monitor and correct mean and disrespectful attitudes behind the words. Little ones grow to care for their own physical needs, but they require your wisdom on complicated and deeply emotional matters. 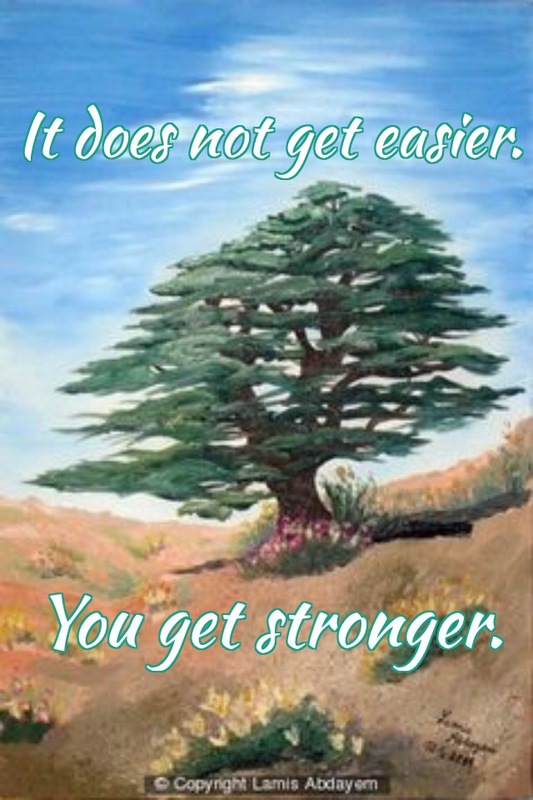 Apply this to parenting, but also work, marriage, grief, faith, skill, lessons, health — life doesn’t get easier; you get stronger. The seasons change, but with every improvement of your situation, there will be a regression of some sort, another pressure to endure. 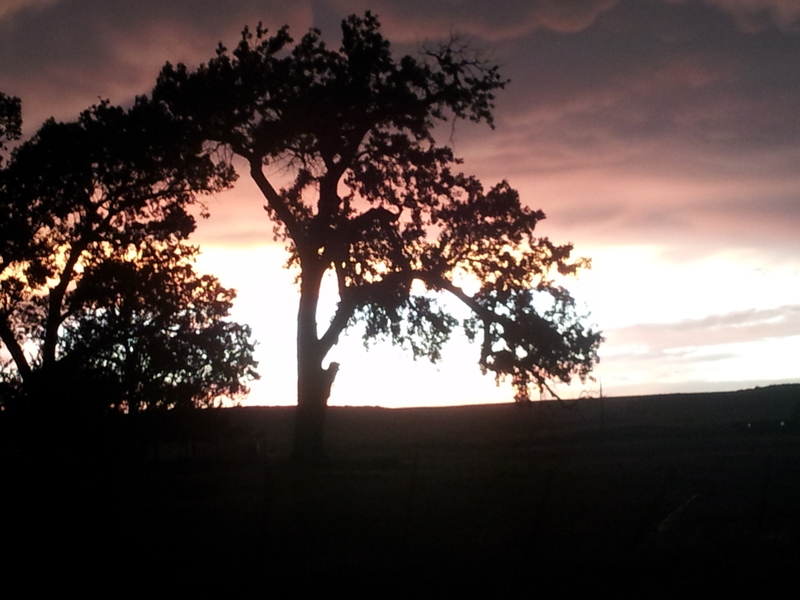 Like the winds on a mighty cedar tree, our circumstances may stir or bend us. They do not cease, but we grow in strength. 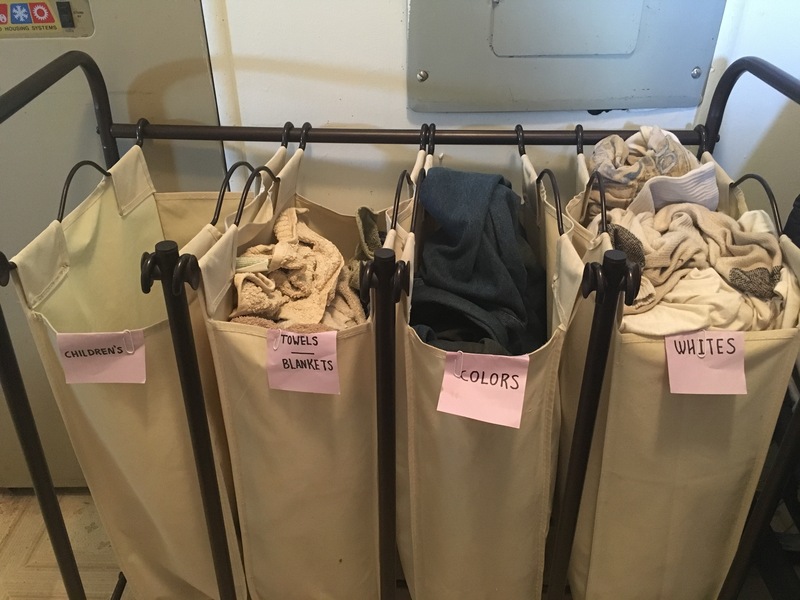 This is an update to all the other laundry that I have been airing out lately. Disclaimer: This video has not been approved by anyone’s Aunt Mirna. The microphone on my camera has proven defective, so please bear with the audio. Laundry. Mount Washmore. The never-ending chore. Laundry! Once so clean in the moonlight! I do the laundry, Yet again! Did you know that there is a hidden joy to laundry? Did you know that you can look in your hamper and smile? Did you know that it is possible to stroll through your house and not find a chair heaped with clean clothes? Did you know that you can go weeks without hearing your husband say that he’s out of clean socks? That all of this can be accomplished on autopilot? And even a toddler can help? A load a day keeps Mt. Washmore away. That’s it. Only handle one load of laundry every day. Sort, wash, dry, fold, iron, and put away one load – and stop. Starting this method is the hardest part, but once you have managed to keep it up almost every day for two weeks, the clothes begin to behave themselves. 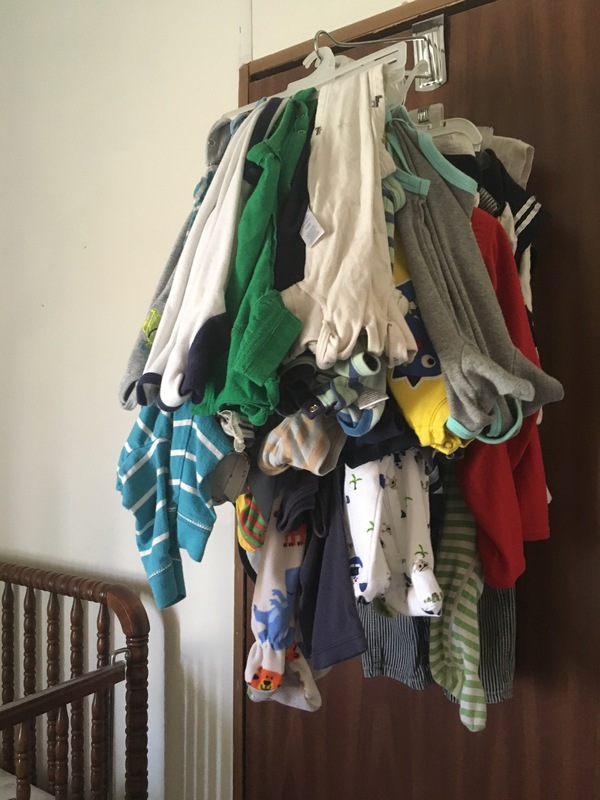 As for my own laundry routine, I try to avoid this chore on Sabbath, and I try not to start until I have fed the infants and gotten dressed for the day. Only then do I grab the dirty clothes basket in my bedroom and take it to the laundry room. There, I sort clothes into my lovely set of hampers that we received as a baby shower gift. The bags are removable. So, if someone is taking my laundry to wash whilst I recover from illness or childbirth, they can simply grab a bag on their way out. If my own machines are being repaired, the bags are easier to transport to the laundromat than baskets. Yes, I love this thing! By “laundromat” I mean the closest neighbor who will permit my use of their equipment. Anyways. I am the only one in the house who sorts things into the proper hamper, but that’s okay. Daughter throws her clothes into the hamper closest to the door, so I made that bag the children’s hamper. 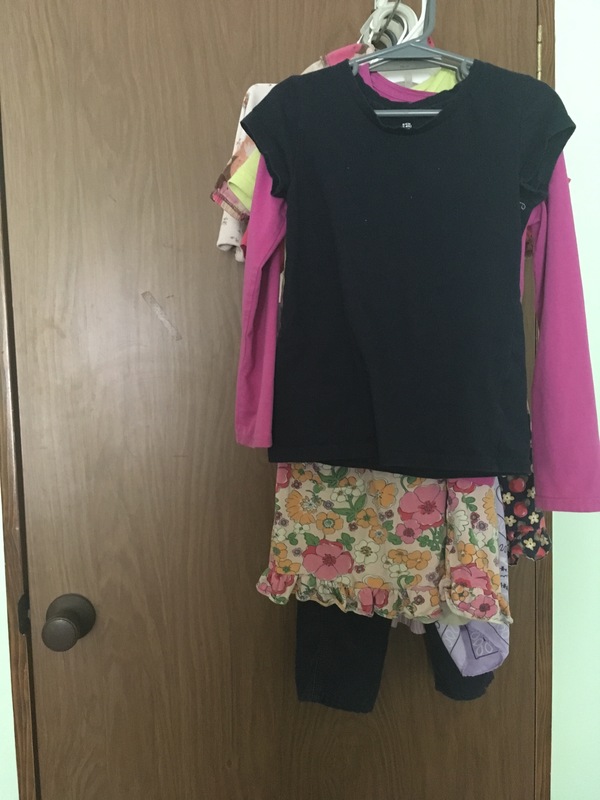 Husband throws one outfit at a time on top of my sorting system, so that takes maybe three seconds to sort out every day. No sweat. 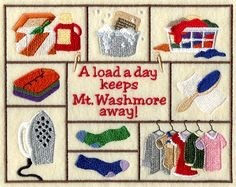 Whichever hamper is fullest I dump into the washer, start it, and then I get on with my morning. Sometime before lunch, I have Daughter help me switch the laundry from the washer to the dryer. The most fun part for her is in the afternoon. My toddler loves shoving the clean basket into the laundry room, dragging out the clean clothes, cleaning out the lint, fishing out the wool balls (fabric softener), shutting the door by herself, and shoving the clean clothes away to be folded. I am paranoid about dressers toppling on my adventurous climbers, and I like the ability to find clothes quickly. 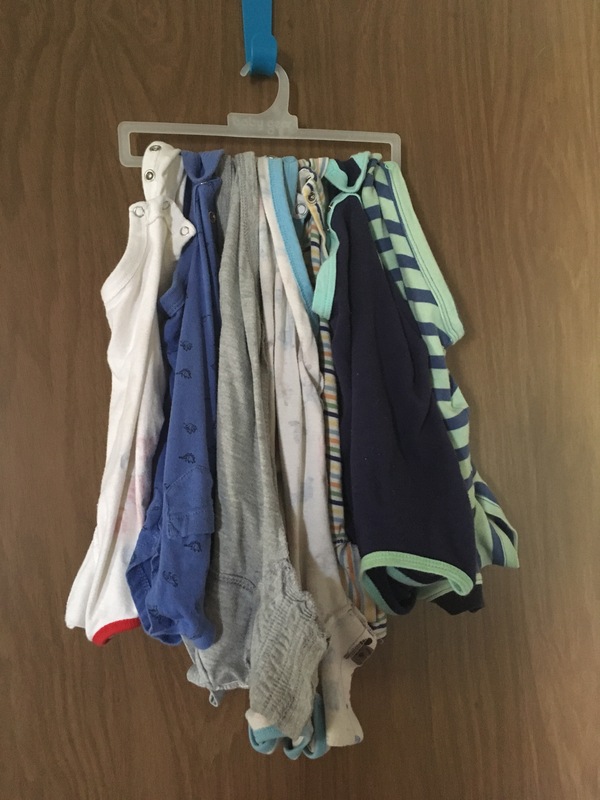 So, I keep a hanger on the child’s closet door for all the onsies, shirts, or dresses. Pants and socks fit into a light storage basket with the diapers and wipes. Grab an oblong hanger off one of those gift blankets from Baby’s shower, and snap the onesies on it in plain sight. Keep an empty diaper box by the crib. Once you realize your child has outgrown a garment, throw it in the box. When it gets full, tape the box shut, label it, then stow it away or give it away. Helping me with chores has given my daughter a good sense of accomplishment, and I enjoy having her company. I also notice our communication skills get stronger as we work together. Her help certainly saved me a great deal of teeth-grinding agony when I was pregnant with twins and unable to bend or twist. Our little balls of energy are ready to play games with us to learn how to run their own lives one day. Age appropriate responsibility can help tone down sour attitudes, believe it or not. Have fun teaching them early, while the mundane chores are still fun for them to master. There you go. That’s the way I keep the laundromonster in check and have some fun teaching my little one while we do it together. Check out those links above. This method is adaptable to people who work outside the home, or work odd shifts, too. With a little change in attitude, you can do this! ​ ​How I fold and put away sheets. Disclaimer: This method has not been approved by anyone’s Aunt Mirna. My camera’s microphone is defective, so please bear with the audio quality. “There are 365 times in the Bible where it says to not fear, once for each day of the year,” so they say. Do we realize that this is not merely a phrase meant to make us feel better? Do we understand that “Fear not.” is a command? This new life of motherhood changes the dimensions of our existence, particularly our weaknesses. As mothers, new fears assail us, stronger than we could have imagined before. Struggles we were unaware of now fill our minds. Then the fears work us over. “Fear not” is a strict command, especially for those of us in charge of other souls, because fear is a strong weapon that effectively prevents us from accomplishing The Master’s will. The fears of motherhood are few, yet strong in the beginning. Then fear breeds upon fear in the false guise of love. Eventually, we find that we are constantly yelling at loved ones, and lashing out over little things. The unloving behavior towards our families is not rooted in hate. We may be frustrated, but hate? No, the root is fear. Once we identify the fear the Enemy is using against us, the tide of the battle has turned. From there we can fight with the Word, prayer, love, taking captive every thought. Doing the wrong thing that propels your children into self-destruction? Angering your community with your parenting choices? Inability to get on the same page with your husband about your concerns? No one caring about your efforts? Disaster taking your children from you? Alienating your kids from you, yourself? Causing unnecessary grief to your family? Cursing them with your mistakes or evil past? Burning up your life for nothing? Exposing your children to family battle crossfire? That if things don’t go your way, they can never come out right? We mothers do have a responsibility for our children’s safety. Go set the boundaries. Teach the rules. Encourage good connections. Discourage bad company. Take precautions around that person who gives you a bad gut feeling. Become the repetitive voice of good sense that your kids will hear wherever they go. Beyond the practical action, though, our concerns turn into fear and have no benefit for our families nor ourselves. Ruminating on fears winds us up tightly, makes us irritable (fruit of the Spirit is patience) and causes us to make stupid decisions. Our words cut. Our tempers flare. Our impulses inflict chaos. Our families hide. The above bullet points of fears may seem to come from a place of love, but they don’t. It is a distrust of the One Who is Love. The King of the Universe came up with the idea of our children. He created them and knows their every detail, down to each hair on their heads. Jehovah loves them, more than even a mother. 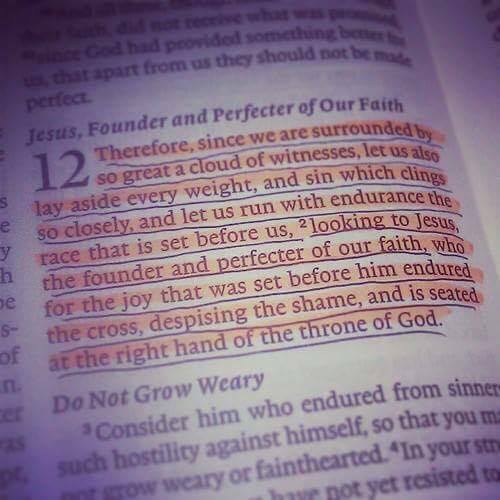 He gave up his only perfect child to secure our babies’ eternal lives. Our children may get hurt, we may fail them, they may choose their destruction, or tragedy may take them from us; but The One Who created all things is doing everything, even delaying the Kingdom of Heaven, to ensure that these precious children will have every opportunity to choose an eternity of His goodness. We must assist Him and drop the fears that have held us back from being the mothers God intended us to be. 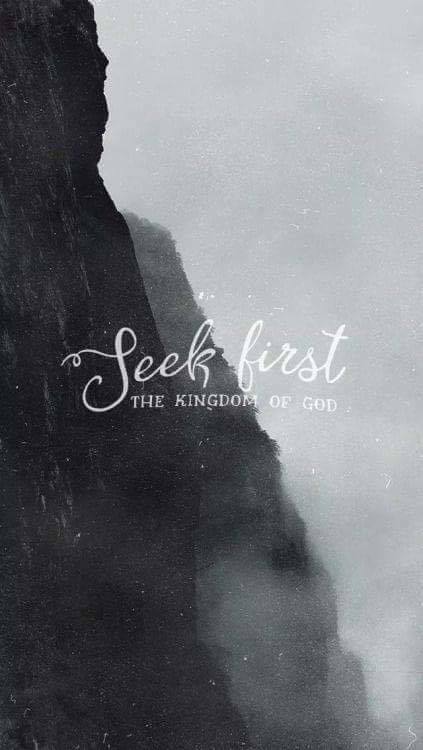 Seek Him out, and let YHWH flood you with His love. Keep your eyes on the eternal. 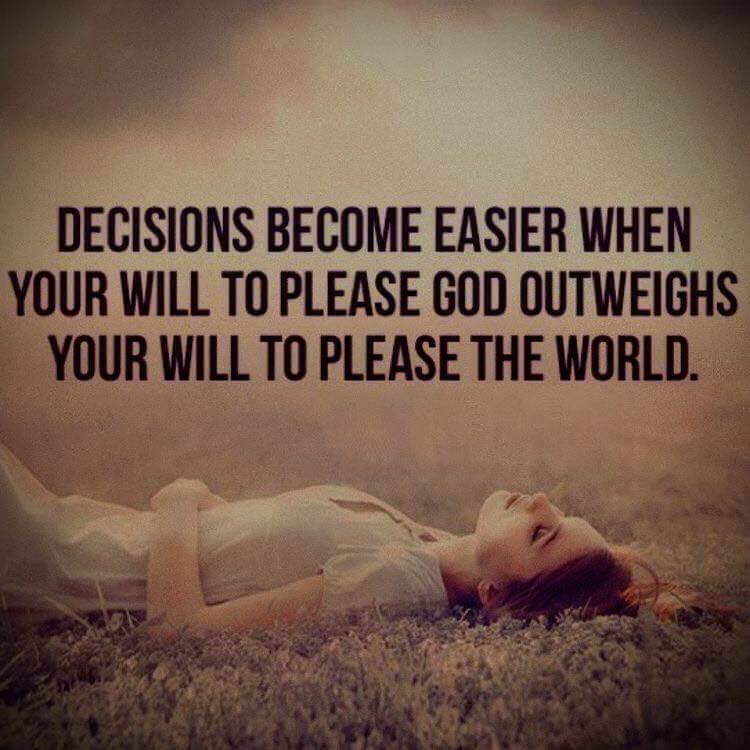 Let yourself love God first, and He will guide your every step in His grace. We are women, mothers, warriors, guardians and caretakers of the weak, servants of the Most High. The battle is on. There is no room for fear.